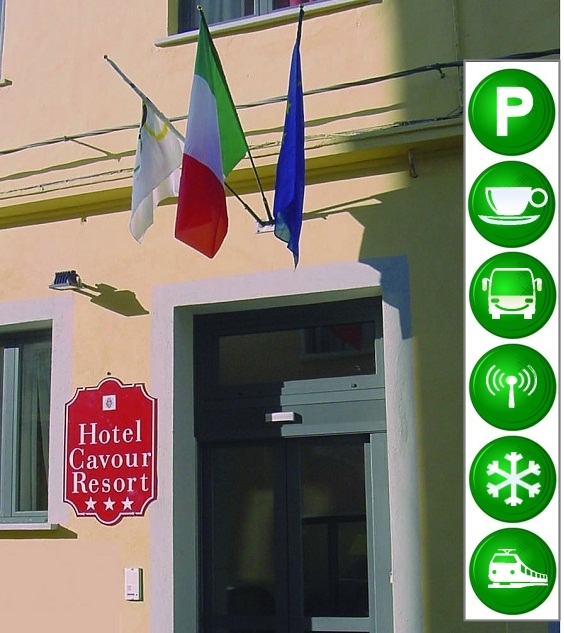 Hotel Cavour Resort, is a new modern and comfortable. Located in downtown Moncalieri, is minutes from the Lingotto Fiere, 5 minutes from the Palavela and 10 minutes from downtown. Featuring cover parking and garage. L' Hotel Cavour Resort, is the ideal place for those who want to stay in comfortable and relaxing environment. The strategic position and the short distance from the historic center of Turin Cavour Resort make a valuable reference for both tourists and business.